Until this tour, I thought Caribou were large animals, about the size of Elk. They're actually more like the size of deer. I learned that both females and males grow antlers and shed them every year. The older males grow large multi-pointed antlers very fast compared to younger males and females. 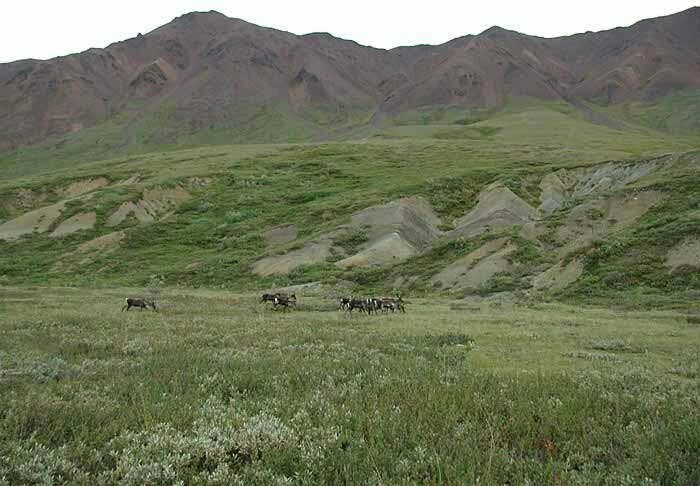 Here is a group of female Caribou foraging.